Rigger.pl - Professional rigging job. Layher - Rigging. Concert Crew. Wroclaw, Poland. 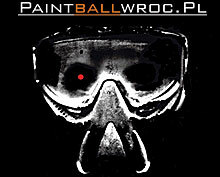 Play paintball in Wrocław We invite organized groups to play paintball in Wroclaw. 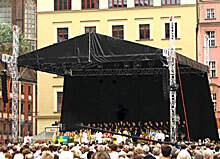 Rigger.pl specialises in rigging constructions, which can be used under sound and lighting systems or decorations, using alpine techniques. Moreover, we offer the technical service and equipment hire during music events. If you are planning an open-air concert, our company can provide you with a modern stage, platforms, curtains, safety barriers, control rooms and Layher scaffold towers to support diodes or sound systems.